Distinguished by its architecture and constructed in 1963, the Legislative Building is where the North Carolina General Assembly conducts legislative business. Each year, more than 50,000 students from across the state and over 7,000 visitors from other states and countries visit the General Assembly. As the first point of contact for visitors, as well as guests contacting staff via phone, this candidate must have a clear understanding and grasp on effective communication skills and etiquette in interacting with dignitaries, public and staff in a political environment. A Legislative Receptionist/ Building Guide requires a customer service focus, needs strong interpersonal skills and the must be able to convey information clearly and precisely. The person in this position will be responsible for answering incoming calls, greeting callers, disseminating and providing information, and transferring calls within the legislative complex. The position also requires escorting scheduled and occasionally unscheduled groups through the building, while sharing pertinent historical facts about the building and the purpose we serve within the Legislative Branch of government. Continuous learning is required in order to stay current with new information about the legislative complex and processes. The Legislative Receptionist/Building Guide position reports to the Legislative Receptionist/Building Guide Supervisor and Day Shift Police Sergeant. Answers incoming calls and provides a variety of information on meetings, schedules, facilities, and other information on State government. Interacts with the public by greeting visitors coming to the legislative complex, answering questions, providing information regarding meetings and locations, giving directions within the complex, and registering scheduled groups. Plans and escorts groups through Legislative Building, gives information on historical items, chamber functions, and facilities. Directs individuals and groups to appropriate area or service needed. Utilizes multiple avenues of technology and available information to perform basic job functions and answer questions. Assists with receiving literature reference materials and handouts of building history or outside periodicals/mailings offered to visitors and guests. Ability to maintain composure and to work cooperatively under pressure with legislators, legislative staff, and the general public, including working with a variety of public groups, on a daily basis. Knowledge of pertinent facts about the legislative complex and the process of the duties of this branch of government. Ability to speak clearly and communicate effectively with diverse groups, often while standing, walking, and climbing stairs. Strong public speaking skills, including experience speaking to large groups, with the ability to provide direction and guidance as needed in a friendly, polite and courteous tone. Attention to detail in being capable of accurately transferring calls throughout the complex and relaying information to callers and visitors. Ability to determine what action to take with an emergency call and how to respond swiftly and efficiently. Ability to use listening skills to put callers at ease in order to obtain and provide accurate information. Ability to employ diplomacy skills in dealing with high call volume while focusing on each caller's request. Willingness and ability to work in a team environment while performing job duties in order to accomplish the mission of the department. Capable of lifting or moving up to 30 lbs. Applicants must pass a criminal background check, and are subject to drug screening. Must be capable of public speaking in large groups, and have the ability to project and articulate well. Previous experience as a teacher or tour guide.  A background or documented interest in NC history and state government processes. This is a full-time, permanent position. Days and hours of work vary between Monday through Sunday, 8:00 a.m. to 5:00 p.m. to include some Holidays and/or weekends, as designated by the building rules. Employee may also be called in on days off or asked to work additional hours as needed. To be considered for the Legislative Receptionist/Building Guide position, all applicants must submit a NC General Assembly application by 5:00 pm on Monday, April 22, 2019. The General Assembly offers employees and their eligible family members a comprehensive and valuable benefits program. The employees have the opportunity to participate in a variety of benefits which can enrich their quality of life, their health, and their future. Benefits include employee health insurance options, standard and supplemental retirement plans, NC Flex (flexible benefits - a variety of high-quality, low cost benefits on a pre-tax basis), paid vacation, sick, community service leave, and more.